Selected slides will be made available for the participants late October. Cochlear Implants have proven a very effective treatment for severe to profound hearing loss and for congenital or post-lingual deafness. Today more than 450,000 patients use a CI and congenitally deaf children and adults with an acquired deafness or profound hearing loss are implanted routinely in many countries. While the majority of CI patients achieve good speech perception, many experience a very poor music perception – both self-reported levels of music enjoyment as well as measured ability to discriminate fundamental features in music are significantly lower than in normal hearing subjects. Decades of research and product development on CI signal processing, stimulation and rehabilitation has focused mainly on speech sounds and little on music listening and enjoyment. The poor music “delivery” in current CI devices stands in stark contrast to the general understanding that music is an important part of human wellbeing and Quality of Life. Recent scientific evidence points at music as an important auditory input for development of the human brain – both in terms of cognitive, emotional and auditory processing abilities. Similarly, throughout time and across cultures music has always played an important role in social gatherings – listening to music with friends, singing in the church or going to live music events is something many cochlear implant patients do not find pleasant. There is no doubt that music is an essential part of social life, health and general wellbeing – and that substantial research is still needed to give hard of hearing people better access to this dimension of life. This is why we wish to bring together researchers across the globe to join forces on bringing music to Cochlear Implant users. Symposium chair: Professor Charles Limb, Director of Douglas Grant Cochlear Implant Center at UCSF. Symposium co-chair: Jeremy Marozeau, Associate Professor at Hearing Systems, Technical University of Denmark. 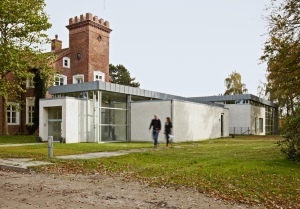 The symposium will take place at the Eriksholm Research Centre, located 40 km north from Copenhagen, Denmark. The symposium has been co-funded by the Oticon Foundation and Oticon Medical and will be free for attendants. Due to space restrictions a number of seats will be reserved for presenting participants. More information regarding travelling to the Eriksholm Research Centre is available here. Complimentary bus transportation will depart from Marienlyst Hotel to Eriksholm Research Centre Thursday morning at 8:15 a.m. and Friday morning at 8:15 a.m. There will also be bus transportation back to Hotel Marienlyst directly after the last session on both symposium days. The bus will also make a stop by Helsingør train station on Friday afternoon. The bus only leaves from Hotel Marienlyst. If you are staying at another hotel than Hotel Marienlyst you are still welcome to use the bus transport from Hotel Marienlyst, but please mind the time of departure. Taxi Nord serves the area around the Eriksholm Research Centre. Tel +45 4848 4848. Snekkersten offers a variety nice accommodations. Hotel rooms are pre-reserved at Hotel Marienlyst (approximately 6 km from Eriksholm Research Centre). For booking with Hotel Marienlyst please email Susanne Biehl Jakobsen at sbj@marienlyst.dk and use the reservation code 549338. Pre-reservations guaranteed until September 15th. Eriksholm will arrange transportation to and from Hotel Marienlyst during the symposium. Other recommended accommodations in Elsinore is Madame Sprunk or Helsingor Hostel. The complimentary conference dinner takes place at Hotel Marienlyst on Thursday, October 13, at 19:00. The dinner is sponsored by the Oticon Foundation. During the conference, free Wi-Fi is at disposal for the conference participants. The weather in October can vary from -5 to +10°C, sunny, cloudy or rainy. Visit the website of the Danish Meteorological Institute for updated information on the weather. Oral presentations and posters will be in English. The Danish currency unit is the Danish Kronor (DKK). Please visit the official travel website for Denmark. Please refer to the Information page for accomodation. The seats are divided into two pools. One is open now, and another pool will be available to presenters of accepted contributions. Authors with accepted contributions will have priority registration available from August 15th until September 15th. Invited speakers and presenting authors receives separate registration information by mail. Abstracts submission has been completed. Thanks for all the contributions. Review is taking place right now. Latest notification of acceptance September 1st 2016. The format for the abstracts is around 1 page and will collected and formatted for a book of abstracts. The abstracts submission will open soon. The duration of most talks is 15 minutes; about 12 minutes for the presentation and about 3 minutes for questions. For the 30 minutes talks, presenters should plan 25 minutes for the presentation and 5 minutes for questions and answers. The oral presentations should be based on Microsoft PowerPoint 2003 or later versions. Presenters on Thursday (13th of October): please upload your presentation by the organizers at the registration desk before 10.00. Presenters on Friday (14th of October): please upload your presentation by the organizers at the registration desk before 9.00. If you have movies/audio files in your presentation, please check that it runs smoothly. Note that movie and audio files are typically not embedded in your PowerPoint file, therefore make sure you have the original movie/audio files (.mpeg, .avi, .mpg, .wav, etc.). The posters should be PORTRAIT oriented. Maximum dimensions: 594 mm (width) x 841mm (height) equal to A1. The posters will be placed in the conference hall during both days (October 13-14) for informal viewing. Poster presenters are required to be by their posters during the Poster Sessions (Thursday, October 13: 16:30-18:00 and Friday, October 14: 12.00-14.00). The posters have to be removed before the end of the symposium. Poster boards and pins/tape will be provided by the organizers. 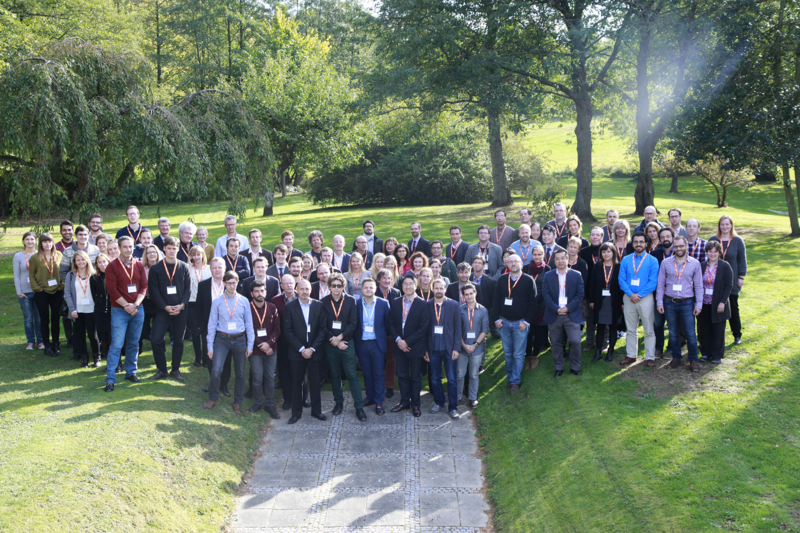 » Watch the video from our symposium here! » Presentations and slides can be found by registered attendants here. » Pre-reservations with Marienlyst extended until September 15th. Info.